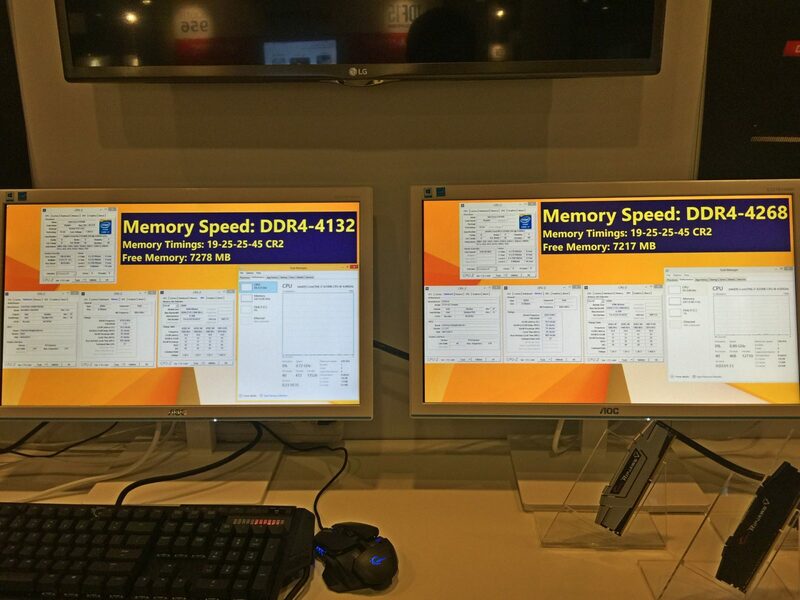 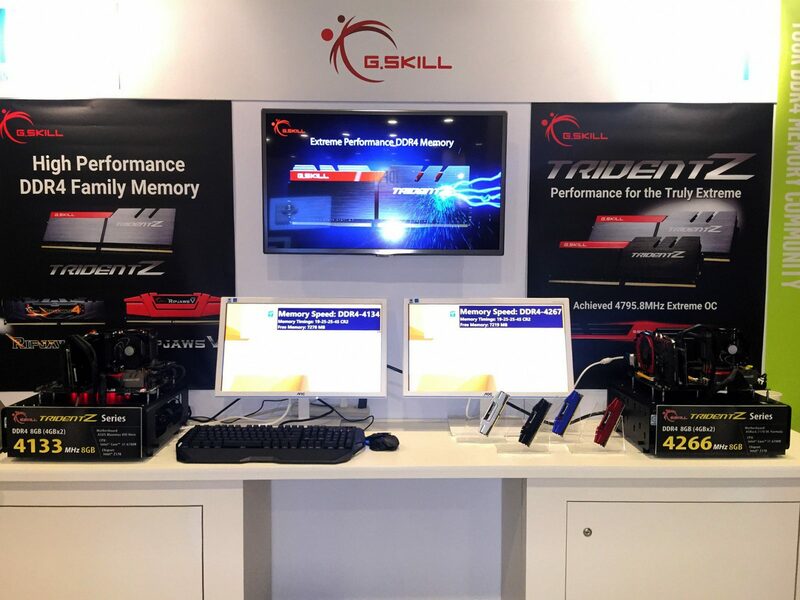 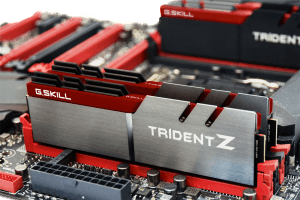 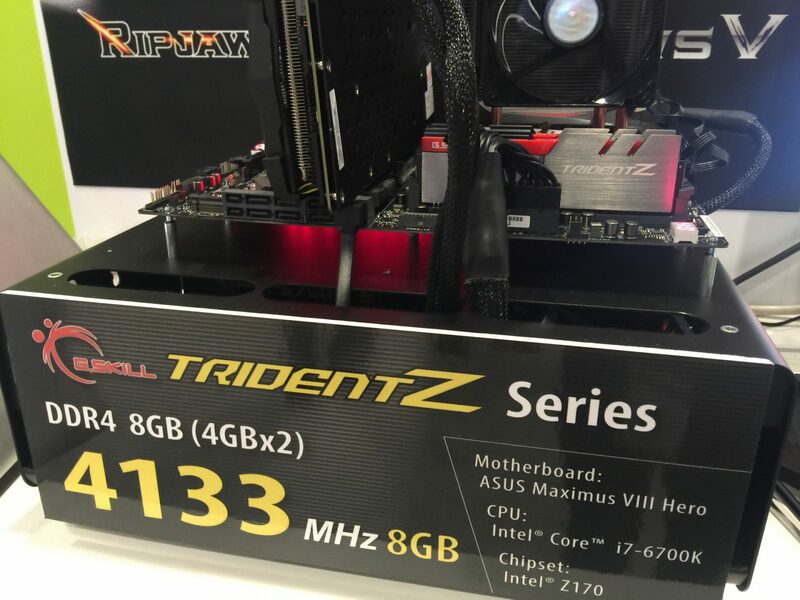 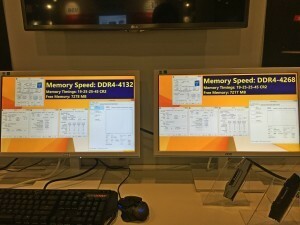 G.SKILL show demos two ultra-fast DDR4 memory kits at DDR4 4266MHz 8GB (2x4GB) and DDR4 4133MHz 8GB (2x4GB) extreme speed in the Intel IDF 2015 event. 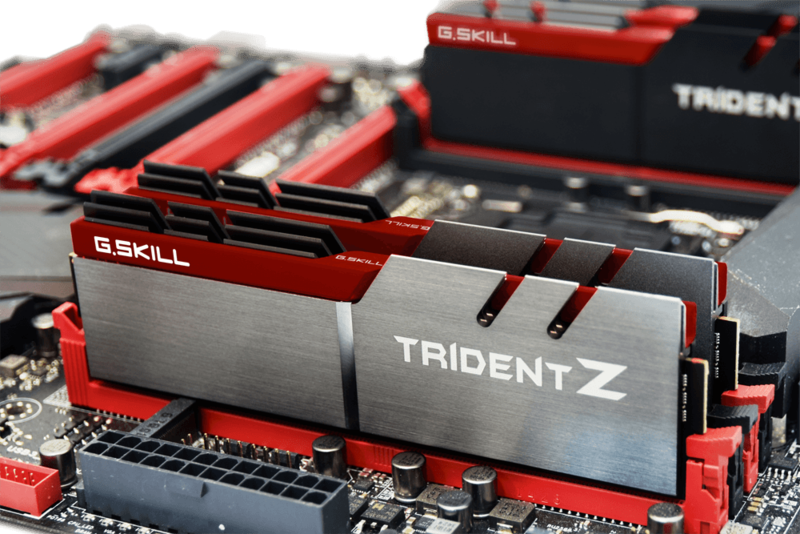 The test bench featuring the latest 6th Generation Intel Core processors and Z170 motherboards, G.SKILL has pushed dual channel DDR4 speed up to new heights. 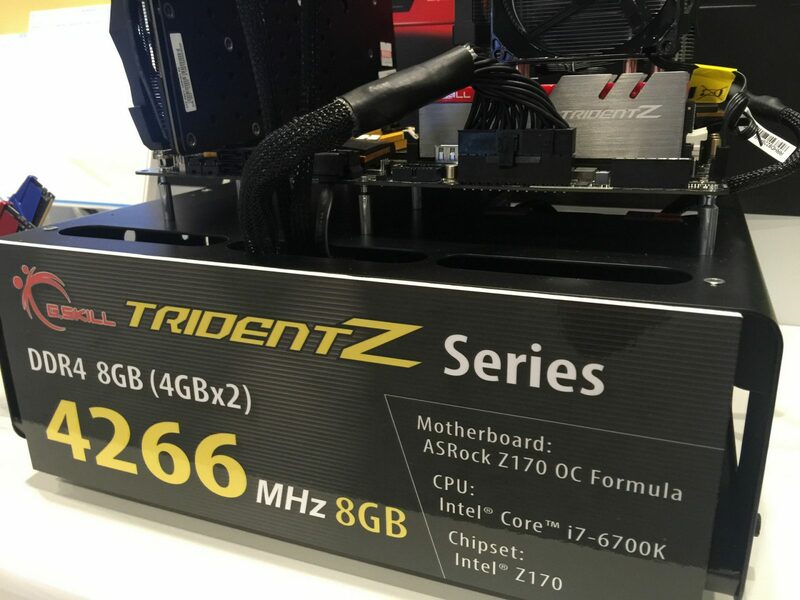 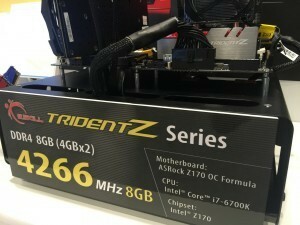 First bench has the DDR4 4266MHz 8GB (2x4GB) kit is running on the Intel Core i7-6700K processor and ASRock Z170 OC Formula overclocking motherboard and second bench has the DDR4 4133MHz kit is running on the Intel Core i7-6700K CPU and ASUS ROG Maximus VIII Hero motherboard. Both of this kits represent the fastest DDR4 memory speed achieved on live air-cooling systems.